Unichurch is running a winter study series over the holidays for anyone who is around. We will meet in private room upstairs at Trotters Bistro from 7pm. For about 45 minutes we will just hang out, drink coffee, or eat some of their yummy food. 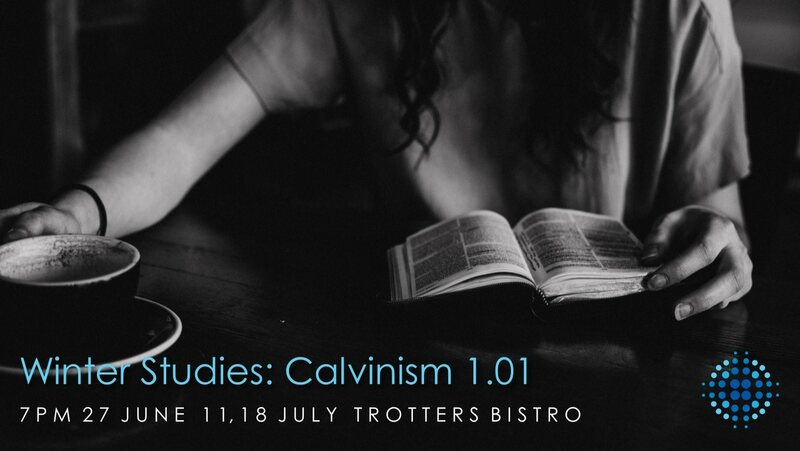 Then we will have a seminar for an hour on one of the biblical doctrines sometimes called “Calvinism”. These will be bible studies (not historical seminars) and have lots of opportunity for discussion and practical application. They should also take us to the heart of the gospel of grace.